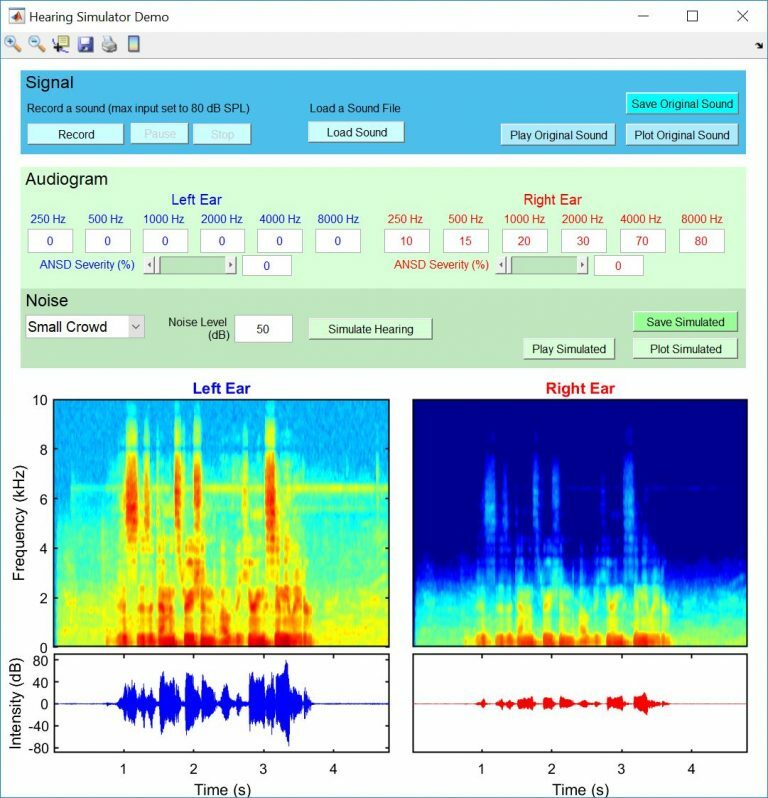 This program can simulate a hearing experience from online recordings or digital sound files (supported formats are .wav, .m4a, and .mp4). Record sounds with online recording option. Record, Pause, and Stop using your computer’s microphone. Set hearing levelsfor Left and Right ears in the Audiogram section . Add background acoustic noise at various dB levels and of various forms (e.g., Small Crowd, Classroom, Shopping Mall, Restaurant, Carnival, or Broadband Noise). It is FREE to download, use, and distribute for personal, non-commercial use ONLY. Please see software description for details. 1) Installation will likely require administrative permissions on your computer to install. If you have such permissions, you will need to accept the installation security prompts. 3) Mac and Linux OS systems: Coming soon… Stay tuned. NOTE on Sound card quality: High-end sound cards will significantly improve the simulated experience. Many computers use low-end sound cards that do not have isolated left & right speaker outputs; therefore, your simulated experience with listening to asymmetrical hearing levels will be reduced. In addition, online recordings using low-end computer microphones are known to have low fidelity and distortions. For better simulated experiences, use higher-end sound cards and/or recording devices. This program allows you to load prerecorded sound files, run the simulation, and save the simulated sound files to be used on another computer or device that has higher-end sound cards.